Conscious that I haven’t written a post for over a couple of weeks, and without any good prospective investments to write about, I thought I would do an article on the flip side of the coin – i.e. find a terrible company, selling at an absurd valuation and metaphorically tear it to pieces. But then I got thinking, it isn’t hard to find a rubbish investment, neither is it particularly useful to you, the reader, for me to point out that selling at 100x sales is ludicrous. You already know it (I hope). It would be more useful for me to review a company that I believe is a poor investment, but that others may view as a value investment. That may not be as fun as poking fun at the stupidity of others, but will be more informative (for those who do like a laugh, take a look at Falconridge $FROT, a heavily promoted hopeless case). When I got to thinking which company to cover, there was one that stood out in my mind that I have seen recommended on some other blogs, Weight Watchers (NYSE:WTW). My analysis is brief, as it is in most cases when I identify a major problem with an investment. There is no sense wasting time on the details if you will still reject it. Judging by common valuation ratios this stock ticks all the boxes of a Buffett-type investment. 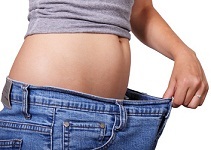 Weight Watchers has a long history of successfully helping people to lose weight. It is one of the few clinically proven schemes around, and has a scientific backing good enough to secure grants from government health agencies to aid people in losing weight. In this industry none have a reputation as solid as Weight Watchers. It is also a fantastically asset-light business, and enjoys many of the benefits of multi-level marketers (note I do not class WTW as a MLM). Individuals, usually that have been on a Weight Watchers program themselves, will pay to set up a group, which meets weekly to guide and monitor others losing weight. WTW itself needs little in the way of premises, materials or even staff to run these meetings. The coordinators will often sell Weight Watchers products at these meetings to supplement income. As new people join groups and successfully lose weight, they can then go and set up their own group, and it grows from there. So far, this all sounds very promising, and hard to argue against the numbers above. But to understand why you shouldn’t go out and buy this stock just based on these numbers, it’s useful to understand why the metrics above are used to judge companies and what implications that has for an investment. Both P/E and P/FCF are measures of the earnings yield of the investment i.e. how much money the investment makes each year. The higher the yield the better, so when a company is selling at around a 10% earnings yield such as Weight Watchers, it makes it more attractive than say one selling at a 5% yield. The second two metrics are a measure of the quality of a company. A high profit margin indicates that the company is selling a product or service that has value to the buyer. ROIC is a measure of the competitive moat of a company. High ROIC attracts competitors and if a company is able to maintain a high ROIC over many years as Weight Watchers has, then it implies it has an advantage over the competition (for a longer explanation of this check out my article Charlie and the chocolate factory). But high ROIC also has another implication which attracts people like Buffett to buy these companies and hold ‘forever’. If a company earns 30% on its invested capital then that implies they can take their earnings, reinvest them into the business, and make a 30% return on those as well. This means earnings growth is high and the business needs little cash injected and probably can return significant amounts of cash to the owners at the same time as growing. That is why companies with high ROIC usually sell at a high multiple of earnings. This final implication is where the theory clashes with real life. Weight Watchers is a perfect example of where the theory unravels, as its sales have been falling for years. Rather than invest earnings to earn 30%, Weight Watchers is in fact investing earnings just to retain its current sales, and is still failing to replace them adequately. The competition has breached the moat and castle walls, inside it’s a slaughter and who knows what will be left when the battle is over. There is also a profound shift within the business itself. Revenues from its website are growing, whilst revenues from its meetings and product sales are falling even faster than headline numbers suggest. The industry is in revolution, a far cry from the stable and boring companies value investors tend to gravitate towards. Before I buy any stock, I put them through what I call the ‘What if?’ test. This is where I try and kill a company. I think of different scenarios under which a company will suffer, or even go bankrupt. Only after thinking of these do I then think about how likely each scenario is, or whether I in fact have any idea how likely each scenario is. For Weight Watchers, the biggest ‘what if’ for me is what if people continue to choose an alternative to weekly meetings? Weight Watchers strength was its points system for counting calories, and weekly meetings providing support to others and introducing some peer pressure on results. However this can all be done on a smartphone nowadays. My girlfriend has an app that tracks everything she eats, all she needs to do is scan the barcode and it knows all the nutritional information. We also have social media which means connecting people is a lot easier. Whilst I think people going to WTW meetings are likely to do better in terms of losing weight, why would people choose it over the free alternatives when it isn’t guaranteed? The ‘what if’ scenario here leads to one place: top line reduction, and that has a magnified impact on the bottom line due to operating leverage. Case in point: in 2013, revenue fell 5.6% and net income fell 20% to $200m. I don’t believe there is a identifiable floor in earnings for WTW, they could eventually go into losses for all I know if operating costs can’t be cut as revenues decline. So in this scenario it will be up to the balance sheet to see what shareholders are left with. Unfortunately that isn’t looking very healthy. Net debt is $2.1bn and shareholders equity is negative. Even if income does not fall from here and it continues earning $200m a year, the debt load leaves little left for shareholders. So the big question is, how likely is this scenario? Well given the fact it has already started, and revenues appear to be in terminal decline, I don’t think the likelihood is negligible. There is a big risk that this company goes to 0 and in my personal opinion I think this is just as likely as it recovering. The metrics say its a buy, but the qualitative analysis suggests significant risks. First rule of investing: don’t lose money. Disclosure: The author has no position in WTW.